the completed reindeer, aren't they cute! 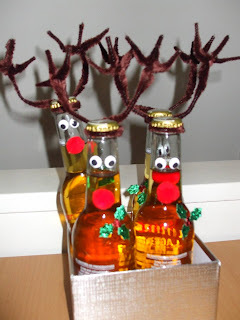 day 192 and i am adding a little decoration to a gift for the peeps grandpa today. 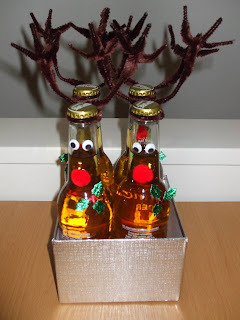 i loved these reindeer bottles of beer and thought that grandpa would appreciate a gift like this from under the christmas tree ;) this idea is from kim at life of a modern mom and is pinned to my christmas is coming board on pinterest. for this creation you need some form of beverage (mines beer!) 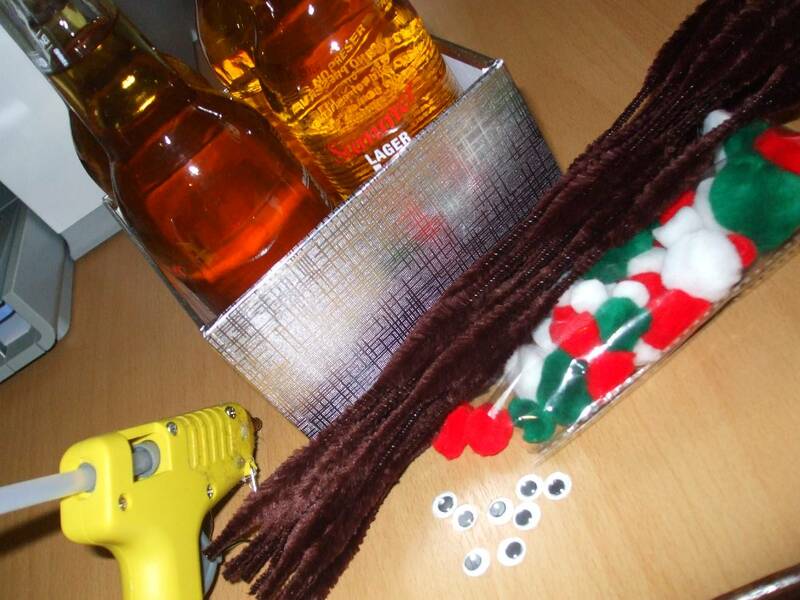 in bottles, some brown pipe cleaners, red pompoms, some googly eyes, and a hot glue gun. 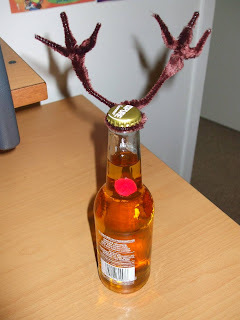 outcome: perfect for a little something extra to put under the tree, especially if that person likes this type of beverage, which grandpa does! they look really cute, and very festive, an ideal addition to under our tree.